A Town Shoes store at the Eaton Centre in Toronto, Ont. is pictured on Feb. 4, 2016. DSW Inc. says it will shutter its Town Shoes Ltd. brand and close all of its stores. The Ohio-based shoe retailer says increasing competition in the footwear market and "significant" operating losses are to blame. 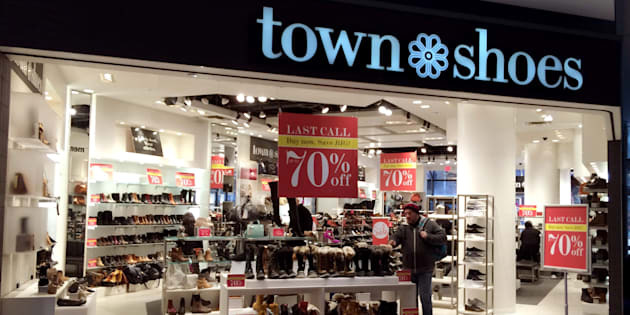 The company plans to close the 38 Town Shoes stores it operates in Canada by the end of its financial year in January. About 400 workers employed by Town Shoes are expected to be affected by the closures, but DSW says it is hoping to find the workers alternative employment at its Shoe Company, Shoe Warehouse and DSW brands.